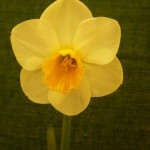 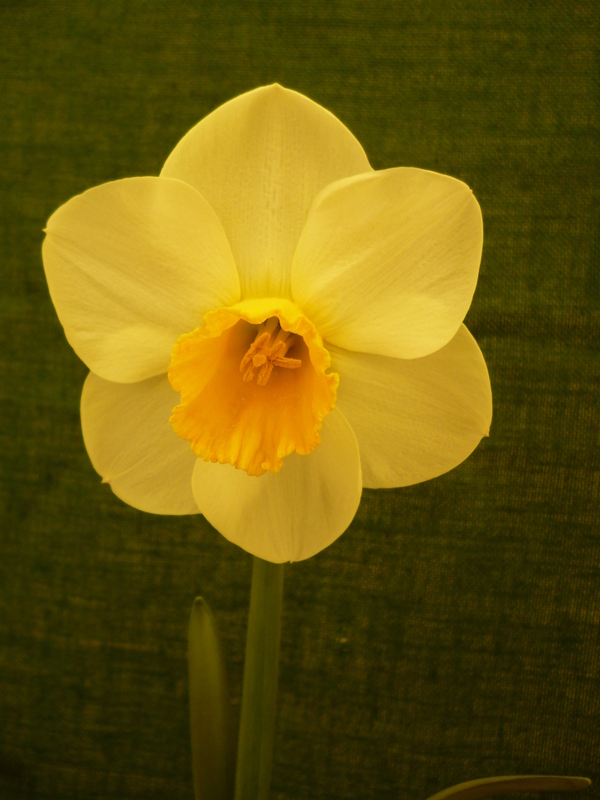 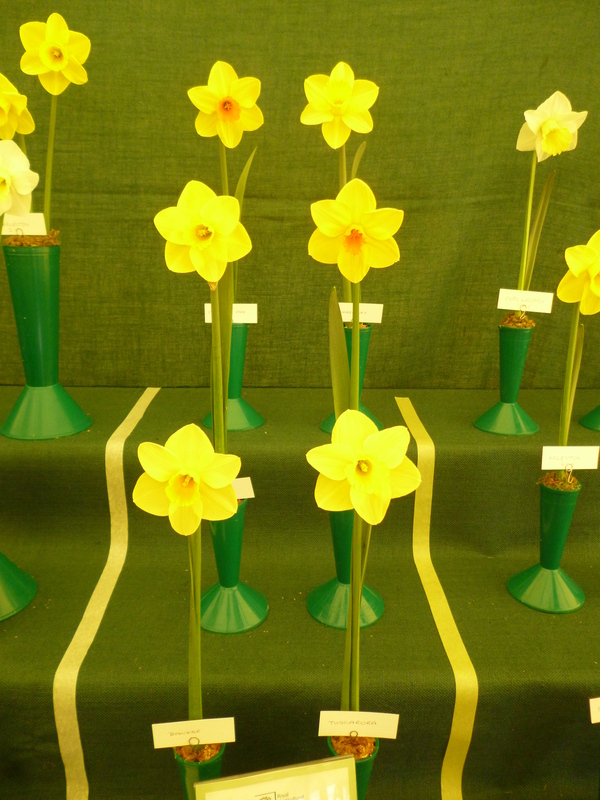 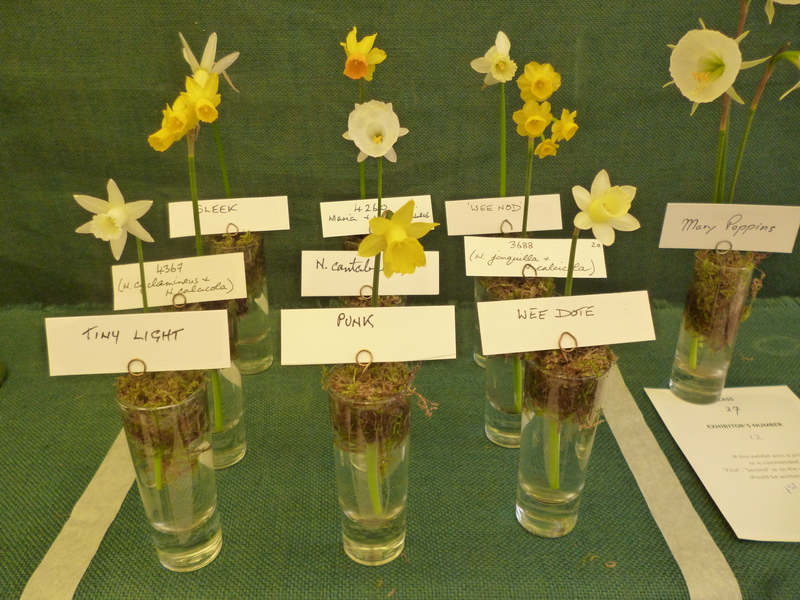 The first RHS spring show of the year was blessed with glorious sunshine despite the gales of the preceding week. 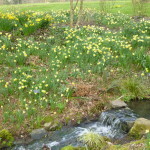 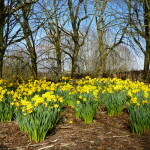 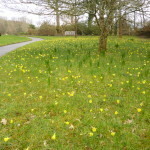 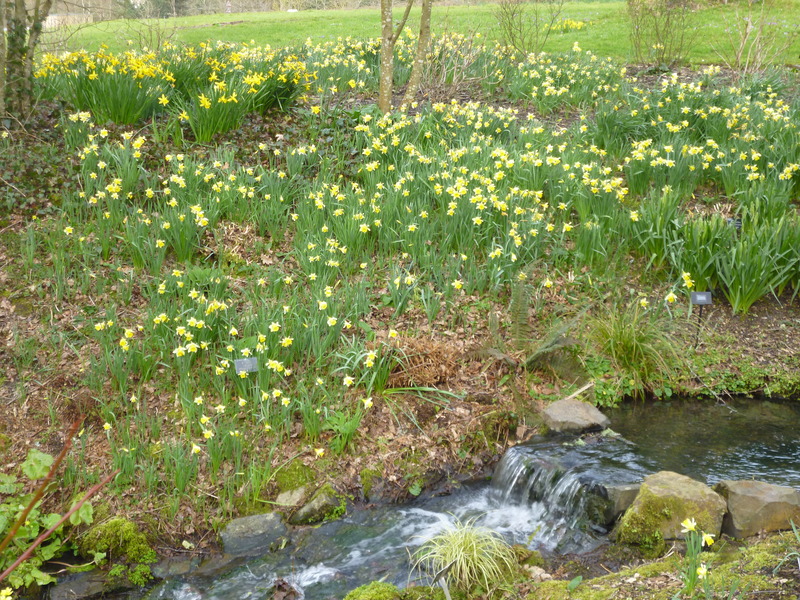 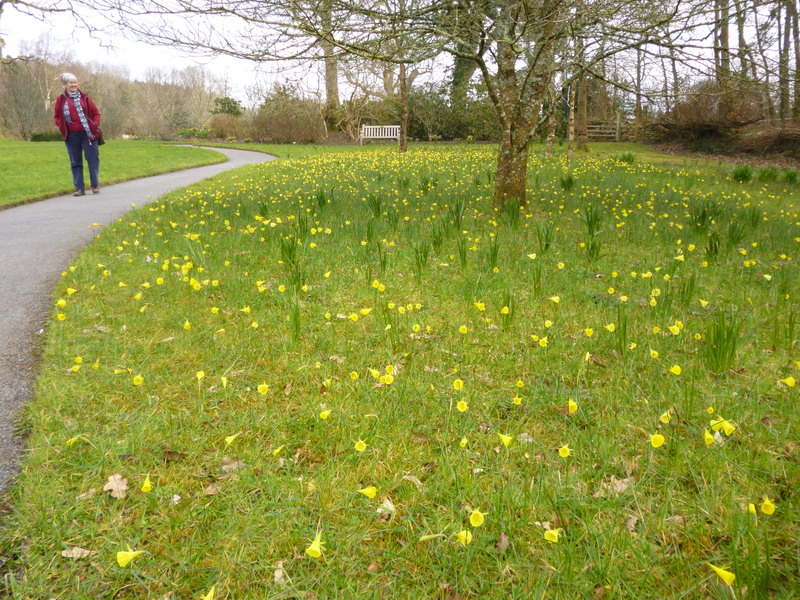 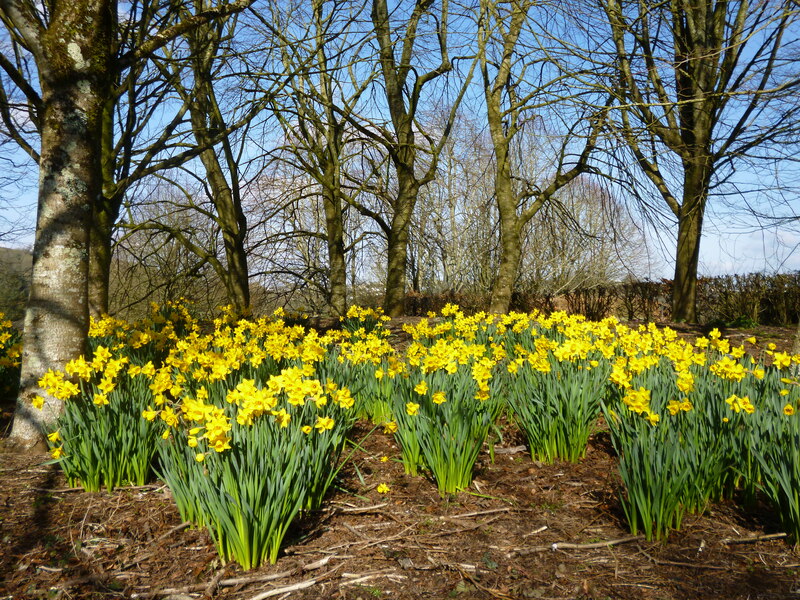 The gardens themselves had many daffodils in full bloom including the swathes of naturalised n. cyclamineus and n. bulbocodium. 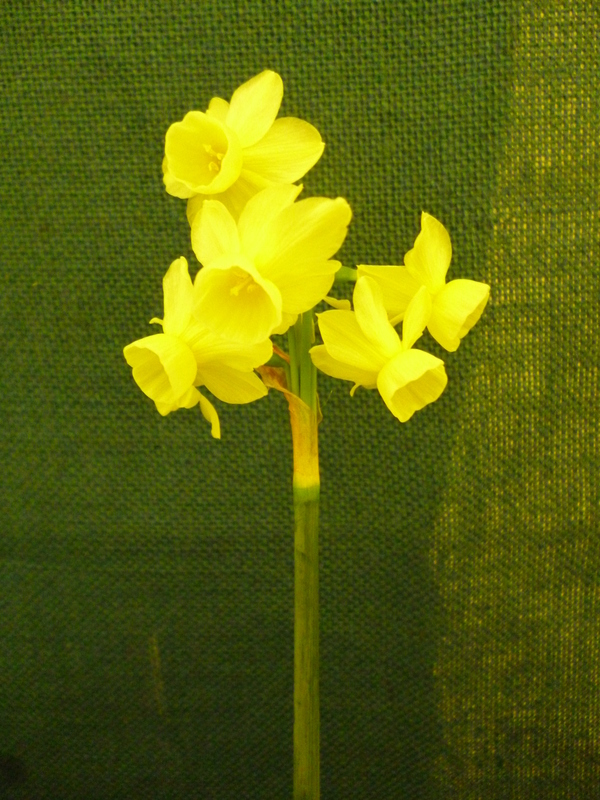 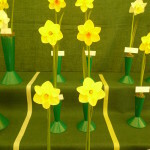 Congratulations to Allen Brierley who exhibited 6 cultivars from any division or divisions to win a Dartington crystal trophy, narrowly beating Ivor Clarke. 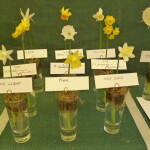 As always miniatures and species were a highlight of the show and Brian Duncan’s collection of nine won a crystal trophy and attracted much attention from visitors over the show weekend. 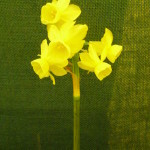 However the Best miniature in the show was Angel’s Breath 5Y-Y exhibited by Carlos van der Veek.